Our usage for products, data, tablets, and of course smart phones has changed drastically over the last 2-3 years. While smartphones have become common place, the screens are too small, while laptops are too hard to carry, and most tablets lack that important SIM slot to let you get 3G/4G. The answer lies in Mifi devices, which are portable devices that give out a Wifi signal, and make you absolutely mobile. So whether you have a laptop, a phone, or a tablet, you are truly mobile. Keeping this in mind, EE have announced their Mobile Wifi deal, which means that you get a Mifi device and a free tablet for just 21 per month (for a 2 year contract), and the plan already includes 5GB usage. 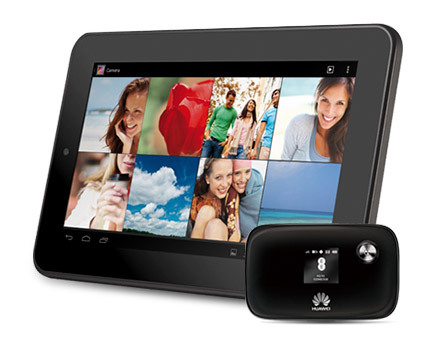 The tablet included in the deal is a One Touch Tab, worth £90, so you’re already making a profit there. Since the Mifi device is 4G, you don’t have to worry about download rates either. In fact, you might even find it is faster than your broadband? Next story Need a case for your Nexus 5?